The Board of Governors of The Oaks Club along with the club's WellFit committee broke ground to begin construction of The Oaks Club's new 7,500 sq. ft. fitness and wellness center to be completed by March 2017. Pictured along with The Oaks Club board members are representatives from the project architectural firm, Fawley Bryant and representatives of Willis-Smith acting as General Contractor. The $2.5 million WellFit Center will offer amazing views from its location above the existing Cart Barn. Complete with vistas of both the Eagle and Heron Championship Golf Courses separated by a lake, the WellFit Center will offer members all elements of cardiovascular and strength training along with room for group classes, treatment rooms for massage and physical therapy coupled with locker room amenities and personal training. "This is the final piece of The Oaks Club puzzle," said Ollie Johnson, Co-Chairman of the WellFit Committee and member of the Board. 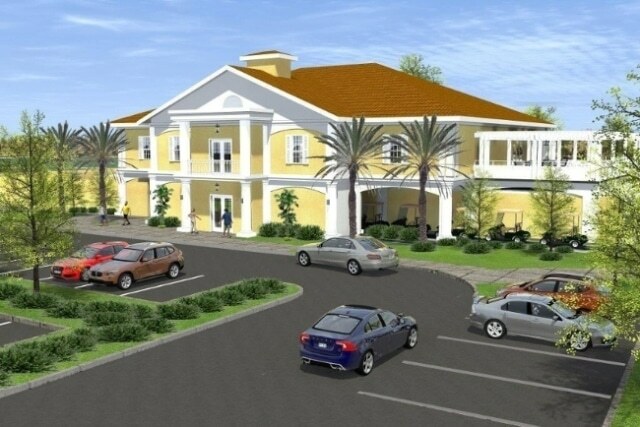 "No other Sarasota private gated community within 10 minutes of the world's best beaches will offer the amenities The Oaks Club community will have for prospective homeowners and its members."